I Have Bought Another Liberty Loan. Have You? 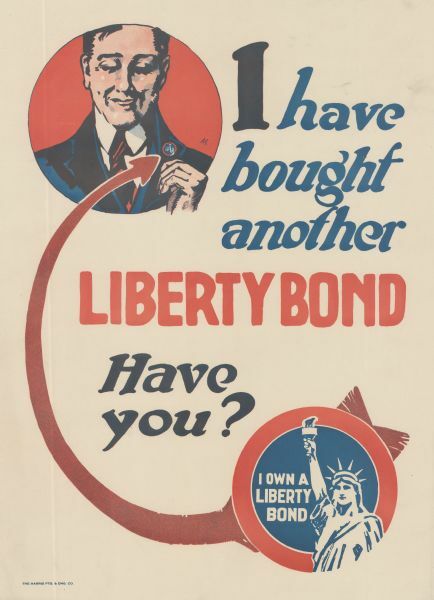 Poster featuring a large version of the Liberty Loan button with the Statue of Liberty and the words: "I Own a Liberty Bond." An arrow directs the viewer from the button to an illustration of a man with the button on his lapel. Poster text reads: "I Have Bought Another Liberty Loan. Have You?" The Harris Ptg. & Eng. Co.